Princess Cruises has announced their new ship currently under construction will be based in China year-round when it is launched in mid-2017. 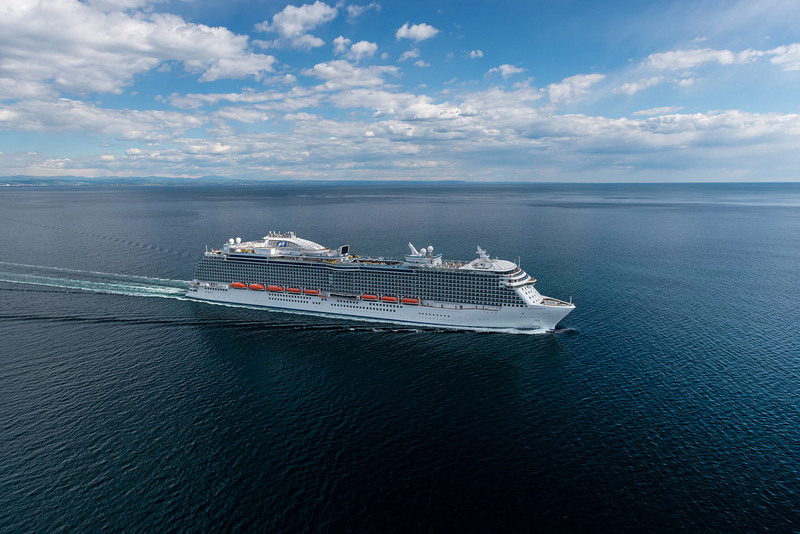 The as-yet-unnamed cruise ship is being built at the Fincantieri shipyard in Italy, and will carry approximately 3,600 guests on a variety of itineraries which are to be announced at a later date. The vessel will be based in Shanghai and will be the first year-round international luxury vessel designed and built specifically for Chinese guests. Based on the design of Royal Princess and Regal Princess, the new vessel will feature a number of new innovations tailored for the growing number of Chinese cruise travellers. The new ship will feature a multi-storey atrium that will serve as the social hub of the ship; an over-the-ocean SeaWalk, a top-deck glass-bottomed walkway extending 8.5 metres beyond the edge of the ship; the Princess Live! interactive studio; the largest pastry shop at sea; a special Chef’s Table Lumiere, a private dining experience that surrounds diners in a curtain of light; Princess Watercolour Fantasy, a fountain and music show; Movies Under the Stars featuring the largest outdoor screen at sea; and balconies on all outside staterooms. Cabins will be configured to appeal to families and multi-generational travellers. In addition, the new ship will also showcase the exclusive Princess Class experience designed specifically for the Chinese market. The Princess Class will enable guests to participate in unique cultural, culinary, entertaining and inspiring programs including the World Leaders Dinner; traditional English afternoon tea; a Lobster Grill; Ultimate Balcony Dining, an ocean-view hot pot dinner option; ballroom dancing; and an unparalleled duty-free shopping experience. Princess ships began home-port cruising in China just last year, with a successful inaugural season of Shanghai-based cruises aboard Sapphire Princess. Sapphire Princess is returning for a second China season which runs from 4 June to October 2015. Carnival Corporation has been keen to expand its stake in the Chinese cruise market and it is expected that a number of the nine new cruise ships it plans to order will serve this emerging market. Meanwhile, in March 2015, Royal Caribbean announced its third Quantum-class ship, Ovation of the Seas, will be heading to China in 2016.